It really is a joy to use and once it has set, it can be an absolute nightmare to ever get off, not that you'll catch me complaining about that! You can now rest assured that your putty is doing it's intended job on the lakebed as it should be.Make sure that you check it out, you wont be disappointed! 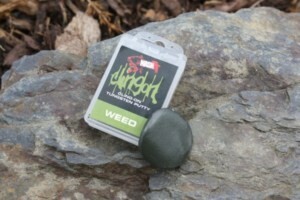 Possibly the stickiest most versatile tungsten putty on the market. Over the years, the market has been flooded with low quality tungsten putty that simply weren't up to the job, and it could be complete pot luck as to whether it would even come off on the cast! However, after much research and development, the boys at Nash have sourced what must be the stickiest and most versatile tungsten putty out there! FREE Delivery on all Nash Carp Leads over £100!! !